A firewall is one of the most basic pieces of software you can get for protecting your privacy. Any decent firewall shields you from inbound snoopers, and the better ones also prevent sneaky software from sitting invisibly on your PC and making outbound connections&#160;to tell others about your activities. A great bet for a truly flameproof firewall is the free Comodo Firewall. It offers great protection against both inbound and outbound threats, along with some very nice extras. Its Defense+ feature, for example, locks down particularly vulnerable files and folders so that nothing can alter them. If you use this firewall, you will have to spend a bit of time training it. 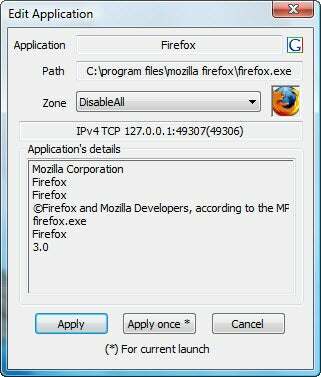 Whenever an application tries to access the Internet from your PC, you'll get a pop-up that asks you whether you want to allow the application to proceed. If you'd like to cut down on the training time and the number of interruptions, use the program's Clean PC mode. In this mode, Comodo scans your PC for applications and registers them as safe. Afterward, you won't see as many alerts. Among Comodo's other nice extras is an install mode that shuts off the firewall for 15 minutes, so you can install a new application without getting inundated with alerts. The Windows Vista firewall has one big problem, though: The outbound firewall is almost impossible to configure.&#160;The free Vista Firewall Control utility gives you the control that Vista should have. With it, whenever a program attempts to make an outbound connection, an alert appears, identifying the application's path and file name, the publisher's name, and the application's name. Based on what you see, you can then choose to enable or disable the connection permanently or one time only. Password theft is one of the greatest privacy dangers that an Internet user faces online. With the following downloads, you'll be able to keep your passwords private and yet&#160;still keep track of them. Most people have dozens of passwords that they use for Web sites, Web-based mail, ATMs, and more. They have become a fact of automated life. But it doesn't matter how much&#160;antivirus software and antimalware you use; if your password is stolen, you're in trouble. 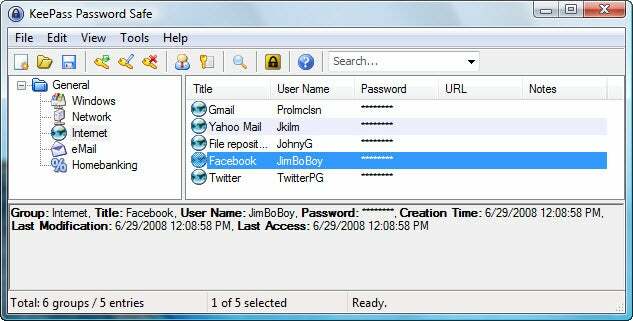 The program stores all of your passwords in groups, so you can quickly find the one you want. And the program lets you easily drag and drop your passwords, copy them to the clipboard, and paste them into a Web page or an application using a hot-key. You can also search for passwords, and print and export them in various formats, including CSV, HTML, TXT, and XML files. You can import them, too. The application can generate hard-to-crack passwords for you, as well--a nice extra for people who want to make their passwords extra secure. 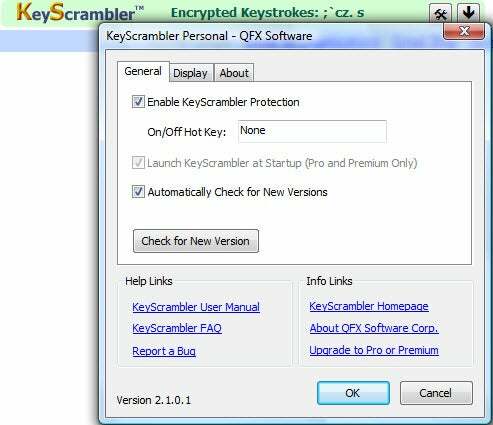 A small icon sits at the bottom of your screen, telling you that KeyScramber Personal is going about its work. As you type, you'll also see the scrambled text that the program is&#160;sending.